Chinese museum: Typing a language with no alphabet. – Cool San Diego Sights! Chinese museum: Typing a language with no alphabet. 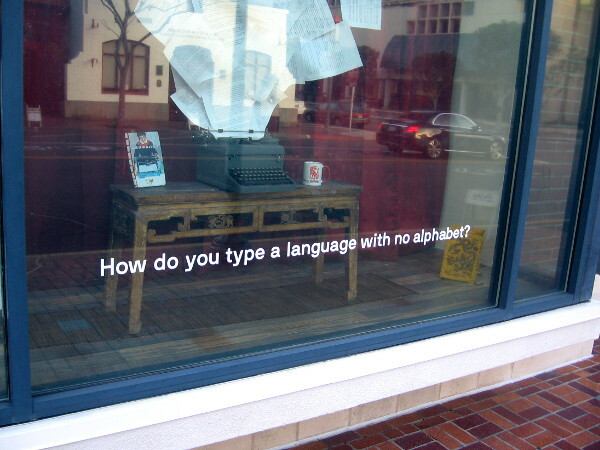 Outdoor display window near the San Diego Chinese Historical Museum asks: How do you type a language with no alphabet? I was walking through San Diego’s small Chinatown yesterday morning when I spied something really interesting. In a window near the San Diego Chinese Historical Museum a special exhibit is being promoted. The exhibit is titled Radical Machines – Chinese in the Information Age. How do you type a language with no alphabet? Good question! I’ll probably check this exhibit out in the next couple months. It runs through April 16, 2017. 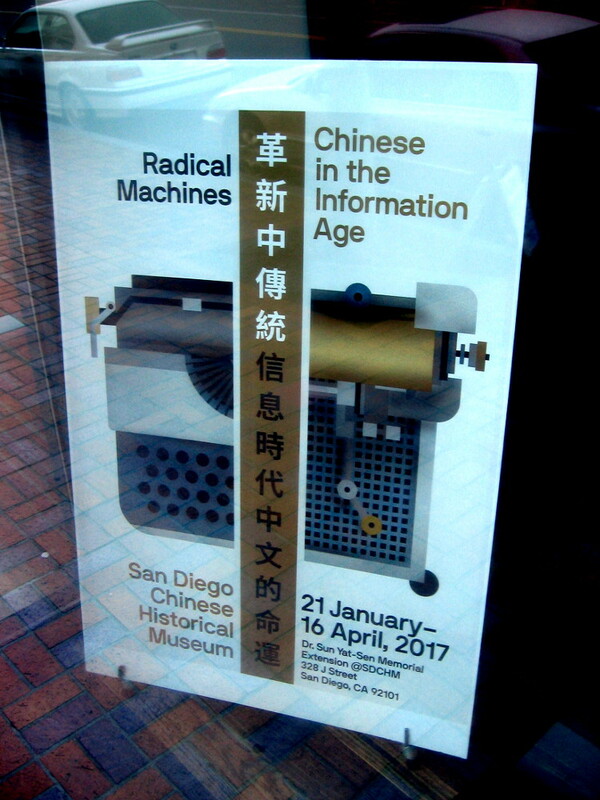 A special exhibit titled Radical Machines – Chinese in the Information Age can be seen at the San Diego Chinese Historical Museum. 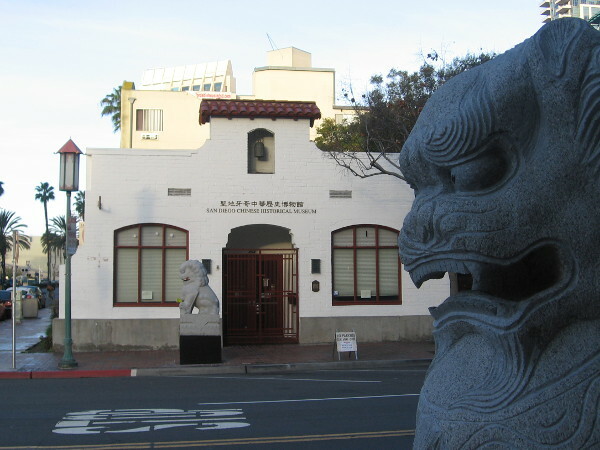 Gazing past stone lions at the entrance of the San Diego Chinese Historical Museum. 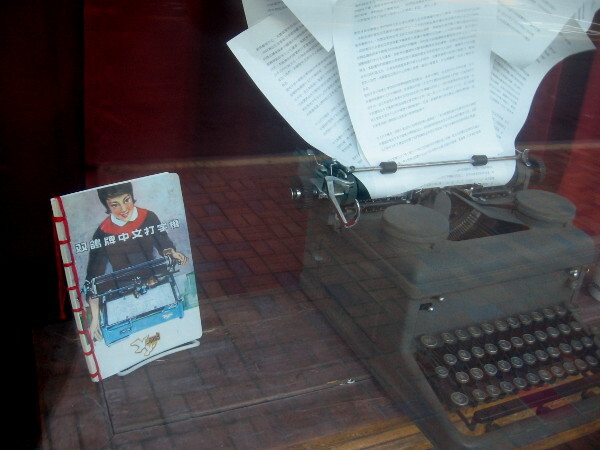 A manual typewriter whose keys type Western Civilization’s adopted Latin alphabet seems to magically produce sheets of paper containing Chinese characters. Previous Previous post: More interesting, unusual doors in San Diego! Next Next post: Photos of fun street art along Fourth Avenue!